Exploring the international landscape can be risky. There are experienced international franchise consultants like MSA Worldwide that can help you research international markets and identify prospective franchisees. The U.S. Department of Commerce’s Gold Key Matchmaking service can also assist you in identifying and vetting prospective franchisees. Franchise consultants or advisors are useful in helping you develop your international franchise expansion plan, including the creation of your negotiating positions, sometimes called a negotiating box. The benefit of working with an experienced international consultant is that a consultant will help you in assessing the structure of your offering and the markets you will be able to support based on your existing domestic or international operations. The negotiating box is an essential tool in most international programs because it enables your negotiating team to understand the parameters of what is negotiable, what isn’t, and the limits of your flexibility. 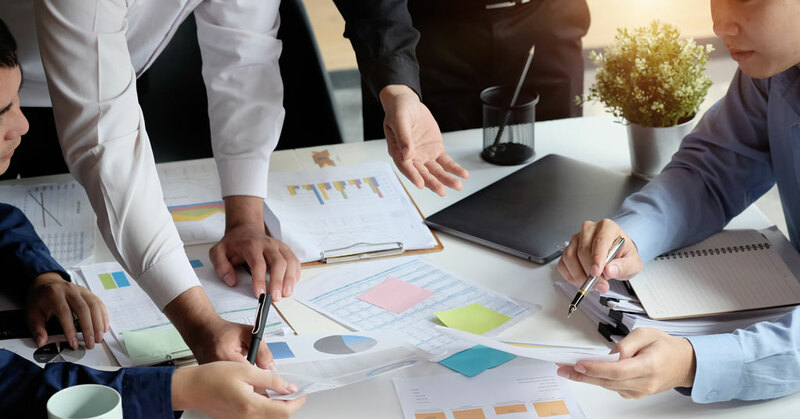 Franchise consultants typically charge a consulting fee for their services, work exclusively for you as part of your deal team, and can help you identify prospective franchisees. In addition to working with an international consultant, you may also include franchise brokers as part of your expansion team. In contrast to consultants, brokers usually earn their fees through commissions and represent numerous franchisors that authorize them to market franchise opportunities. The role of a broker is to sell franchises. One benefit that brokers bring is that, if a candidate isn’t right for one of their other clients, they may be able to shift that prospect to your opportunity. The opposite is also true: a broker could persuade a candidate interested in your opportunity to consider another franchisor should your negotiations slow down and the broker thinks their commission is at risk. Because brokers also call themselves consultants or advisors, you should understand their unique role and whose interests they represent. Here is a list of important qualifications that you should ask about, whether you work with an international franchise consultant or broker. What is their expertise? Ensure that they have a track record of success in structuring international franchise programs and in finding and closing deals on franchises similar to yours. Ask for references from franchisors and franchise lawyers. Inquire into the depth of their sales and consulting experience. Dig into their qualifications to find out whether they are running a full-time business or providing these services between jobs. What is their professional reputation? Do your due diligence and research them carefully. Find articles, publications, and news releases about them. Evaluate whether they are known as trustworthy and honest. Talk to their other clients and professionals in franchising that they’ve worked with. Understand how they are compensated for their services and whose interests they represent. What are their deliverables? Narrow down the deliverables, measurements of success, and milestones. Determine whether they will have the exclusive right to “find” qualified candidates for you in a specific market — and if so, how many qualified candidates must you receive or how many sales must you close over what period of time? Make sure you understand how they will communicate with you and deliver client services. Note: If part of their compensation is a portion of your ongoing fees from a franchisee, you should avoid those relationships. Also, if they are paid up front for locations yet to open, determine what happens to those up-front fees if those locations never open. This is especially true if the broker brought the prospect to you and has conducted the due diligence. Do they understand the laws in the targeted countries? Although brokers aren’t attorneys, they will be representing you under the laws in foreign markets. Because they are acting on your behalf, it is essential that they represent you properly under the law —and also in the style in which you conduct your business. Ensuring that they won’t involve you in problems later on is essential. Understanding whether or not they will indemnify you for claims caused by their actions is important.